There's loads to do on the wikidelia. Please offer to do one of the following, or make a donation to have me work on one. Insert the TX dates from the TRW entries into the Chronology. Make a table on one page of all the DD001 pages. Which TV programme contains footage from Tom-Tom? The Death of a Jelly Baby broadcast on the Third Programme on 29th May 1964 at 8.45pm and repeated on the 14th June 1964. 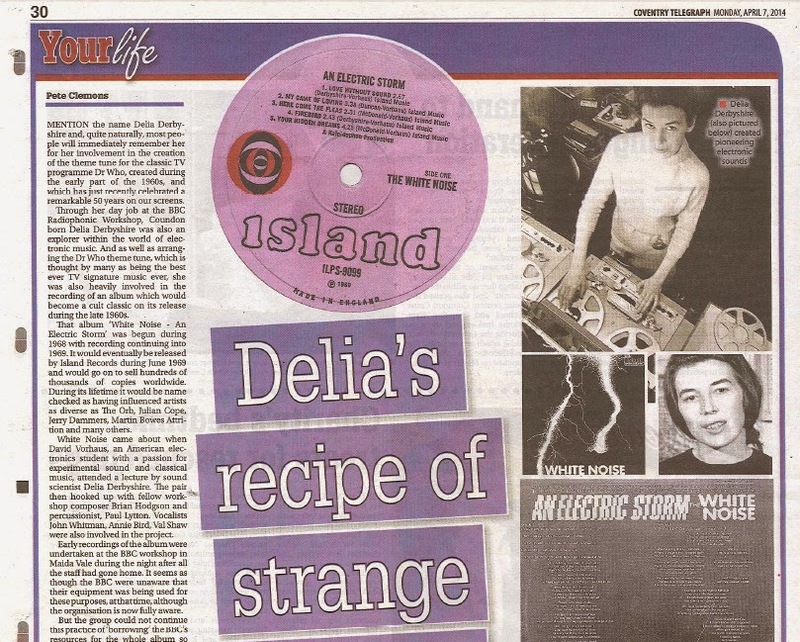 The Afternoon Shift, BBC Radio 4, 1997-07-31 or 28th March 1997, included on DD003 together with another BBC programme containing Delia's work. Home This Afternoon series title music from post-1967. Primary School Mathematics Programme 2, 27th September 1965. Find Ape and Essence, BBC TV's The Wednesday Play series 1, episode 61, broadcast 18 May 1966. An ABC in Sound from one of the cassettes it was published on. See if KRAB.FM have a copy of The Autocrats in their archives. DD003: Third Words: The Radio Feature if not in libraries. Contact the uploader of Hogarth on youtube for the whole thing. ↑ TRW 6843: The World This Weekend: 10 Years of The Radiophonic Workshop.